★Light botanical oils help gently break down makeup and grime from your day without stripping. ★This formula is perfectly balanced for all skin types. ★Makeup Removal and Cleansing in one step. ★Vegan Wax helps minimize risk of spills by keeping this balm solid + without clogging pores! ★Beautiful ingredients that are so pure this can double as a moisturizer, and its good! This is a true Oil Cleansing Method Balm, there is no emulsifier to make this rinse clean. Organic Hemp Seed Oil is perfectly light, and leaves skin soft when removed! There is a ton of info below, but the short version : Massage the balm into dry skin for 1-5 minutes, remove. TADA! The longer you massage, the more time the oils have to open your pores, encourage lymphatic drainage, and thin sebum. Because you aren't stripping your skin, you don't HAVE to follow with anything else, if you don't want to. Honestly, this is my favorite way to cleanse, because I don't always feel up to a ten minute routine, and with this, I know my skin is clean and moisturized. An oil cleanser is an oil you wash your face with; by massaging the oil into your dry face and then removing. One step removes makeup and cleanses or just cleanses if you don't wear makeup. Cleansing is the most important step in your routine and the root of most skin issues is an imbalance in this step. Oil Cleansing is a nurturing and nourishing approach to cleansing. I have taken all the guesswork out of oil cleansing with blends that are meant for all skin types, but especially the most sensitive. No matter what formula you choose, you can be assured that it won't clog your pores or leave you a greasy mess. If you ever wash your face and find yourself rushing for moisturizer, you need an oil cleanser. If you are an oil slick by noon, you need an oil cleanser. This one bottle can be your only skin care product. Once you remove the oil you use to cleanse, you can gently pat a few drops of cleansing oil into damp skin. ❤️Oil cleansing is easy + leaves skin totally clean + improves overall skin appearance. ❤️Leaves skin feeling soft and supple. ❤️If you wear makeup, this will remove all your makeup and leave your skin clean. Have you ever used oil to remove sticker residue from a bottle or gunk from your hardwood floor? This is the same idea. Oil breaks down grime and clogged pores and then takes it along when it is wiped off, leaving your skin soft and smooth, never oily. Oil dissolves oil, and these botanical cleansing oils leave your skin glowing. 1. Open jar and scoop balm with dry hands. I suggest starting with a pea-size amount. 2. Warm between dry fingertips. 3. Massage oil into face, focusing on hollows of face and trouble areas. 4. Continue massaging 1-5 minutes with dry hands using gentle pressure. 5. I wipe the excess oil off my hands at this point with the face cloth I am going to use to remove the oil. You can also use tissue or just wash your hands (with good Organic or Castile Soap) - You don't have to do this, I just don't like having oil on my hands. 6. Get your cloth damp with warm, but not hot water. Hot water can actually cause more damage to your skin and broken capillaries. Place the cloth over your face and inhale deeply. NOTE : For gentler removal, leave the cloth dry. 7. Gently wipe away the excess oil and then rinse the cloth and continue gently removing the oil. 8. Once the oil is removed, your skin should feel clean. Do not leave oil on your skin. 9. You can stop here. You can just mist your skin with Hydrosol. You can do toner, serum, and moisturizer. 👉Can I use my sonic face brush? Pick up a pack of microfiber face cloths as well, I have 8 that I hand-wash with Castile soap once a week. They help remove the oil, can be used wet or dry, and leave your skin lightly exfoliated. ✨ Are you CRAZY? You want me to wash my face with oil? Perhaps, but it really WORKS and you will never think of “oil” as a dirty word ever again. ✨ Remove all your makeup + cleanse in just one step. ✨ Won’t strip your skin or leave your skin feeling two sizes two small and tight. ✨ Reduces your skin’s overproduction of oil if you have oily skin. ✨ Moisturizes and leaves skin soft, but never “oily"
💧 ♻️Conserve water + Great for travel = all you need is a dry cloth to do your entire evening cleansing routine! ★Organic Hemp Seed Oil started it all; this amazing oil is considered a “dry” oil, so it never feels thick or greasy, just silky + smooth. The science is in the Linoleic Acid, a form of fatty acid that actually softens the clogs in your pores and encourages healthy + balanced oil production. No matter what your skin type, the Oil Cleansing Method (OCM) will change the way you feel about your skin + think about oil … forever. 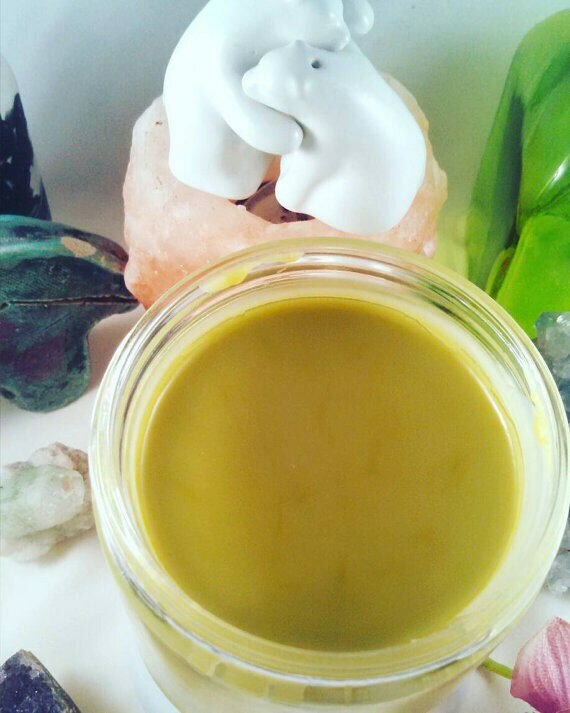 ★Candelilla Wax is a vegan wax that has a very light texture and keeps the oil from melting. Freshness guaranteed for 6 months, but store in the fridge when not in use, do not expose to heat or sunlight. You initially want to use the OCM once per day, ideally in the evening. This does not mean that you can't use it more than once a day. Skin care is very personal, and your skin will change with age, weather, and hormones ... so be open to changing your routine with your skin. For example, in the winter I love to do a light oil cleanse in the AM and then jump in the show and follow with a scrub. At night I will do a deep (10 minute) oil cleanse and then remove with a damp cloth. 🌟 🌟 Easy Oil Cleansing - No cloth required - I use this method, especially when getting in the shower. 1. Massage quarter size (10 - 20 pumps from 1 oz or 2 oz bottle) pool of oil into dry face. Focus on areas like the crevice of your nose and chin that have texture. Massage for 3-5 minutes. 2. Use my foaming face wash, pump 5-10 pumps into palm and massage right into cleansing oil on your face. Avoiding eye area. 3. Rinse and follow with Toner + Serum + Moisturizer as needed. If your skin still feels oily, you can repeat step 2 or just use toner to remove excess. 1. Quick Oil Cleansing - Great for those who don't wear makeup or for morning cleansing. Massage a dime size pool of oil between palms to warm. Massage into dry face and neck in circular motions for 2-5 minutes. Remove with dry or damp microfiber cloth. No need to follow with anything else. 2. Deep Oil Cleansing - This is one of my favorite ways to use cleansing oil. Pump a dime to quarter size pool of oil into hands. Massage into dry face and neck. massage using gentle pressure in circular motions, focusing on congested areas. Massage for 5-10 minutes. I typically do this while watching TV. Let the oil sit on your skin for a few minutes. Remove oil with dry or damp cloth. You can choose to follow with a mask to help remove clogged pores that have been softened with the cleansing oil. OR follow with toner + serum + moisturizer of your choice. I typically do a deep cleanse 2-3 times per week. 3. Double Cleansing - Follow #1 to break down makeup, massaging oil into closed eyes last. Remove with dry cloth and then repeat. Follow #2. You can also use the OCM first, remove with a cloth, and then follow with a foaming face wash or scrub. 4. Moisturizer - Apply to damp skin in or out of shower or anytime you need moisture. Moisturizer (If Needed after Facial Oil soaks in) Try Using Blue Moon Resurfacing Sleep Balm as your final step. 💚This product absolutely saved my face. I initially ordered because I was curious about OCM and on a whim figured I would try it. By the time it arrived, I had been put on antibiotics by a dermatologist and had a horrible, horrible allergic reaction. Where I had no acne before, I was absolutely *covered* in it, my whole face, chest, shoulders, etc. I made a decision to trust in Jerra's product and let it work. 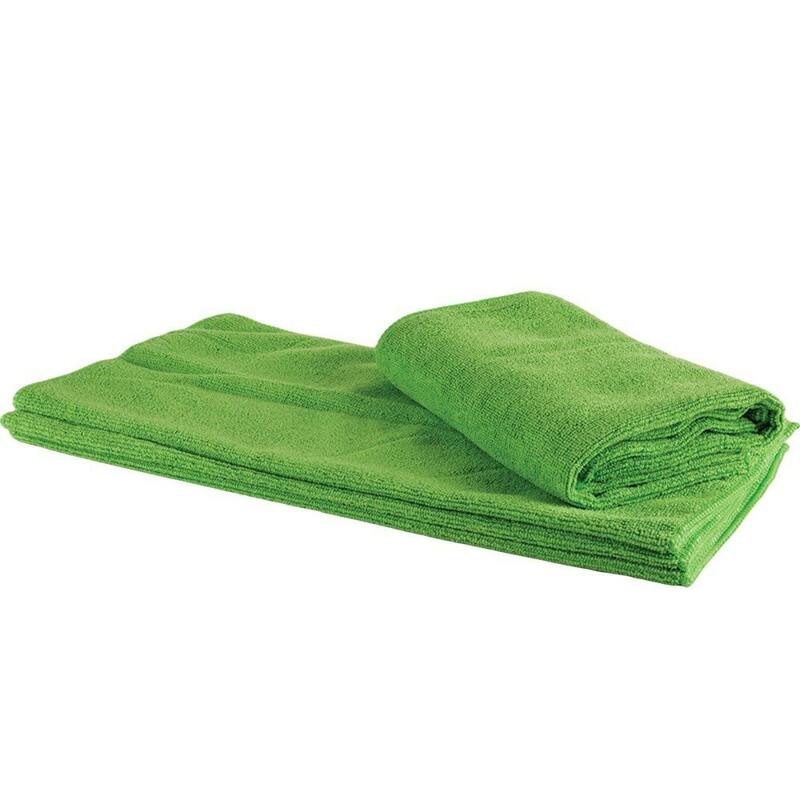 I used it, patiently, with the microfiber cloths and didn't touch, poke or put anything on my face for a week. Every single horrible self-confidence killing spot was gone, and all the small 'under the skin' clogs in my pores are slowly coming out. I will never go back. The cloths are amazing, the product is amazing, it's a relaxing ritual. I will never trust anyone but Jerra with my skin again!